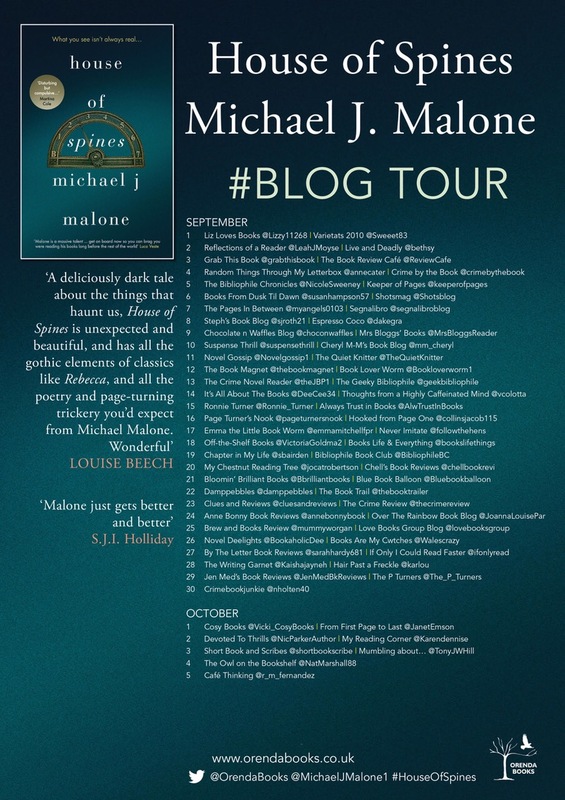 I’m delighted to be a stop on the blog tour for House of Spines by Michael J Malone today and many thanks to Karen Sullivan and Anne Cater for inviting me and providing my review copy of the book. 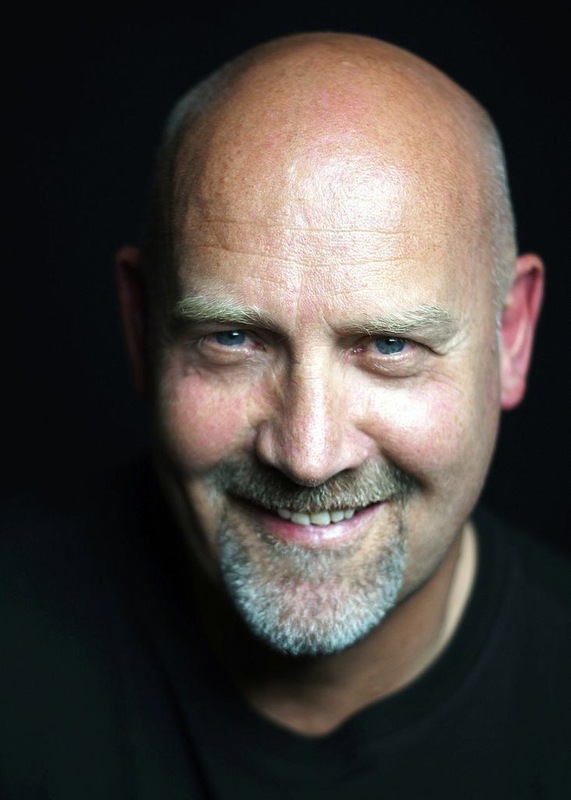 Having read and loved A Suitable Lie by Michael J Malone (you can read my review of that book HERE ) I was intrigued by the blurb of his latest book, House of Spines, as it had a very different vibe about it. I do have a soft spot for a gothic chiller though so I was interested to see what sort of spin this author would apply to the genre. And thankfully I absolutely loved it! When Ranald McGhie inherits a substantial property from a great uncle he didn’t know he had, it is the start of a new life for him. Moving out of his flat and into the magnificent Newton Hall should have been a dream come true for writer Ran with its magnificent library and books piled up around every corner-a book lovers heaven! But within days he is experiencing visions of a dark haired woman. Are these apparitions real or a side effect of coming off his medication? Ran has mental health problems that seem exacerbated by his move but will investigating his family’s darkest secrets cause Ran to lose hold of the single thread of sanity that he is hanging on to? The first thing I did when I finished reading was to message a fellow bookworm to ask if she had read it too so we could discuss. I was desperate to talk to someone about how I felt about it! The story itself is a darkly atmospheric “House of Horror” thriller where the reader is unsure whether what is happening to Ran is real or an effect of his illness. It brought to mind films such as The Others, The Innocents or The Haunting where a house also plays as big a part in the drama as the characters themselves do. I was wound up tight as a spring from the very first page, full of a sick apprehension of what was unravelling before my eyes. As with A Suitable Lie, I was blown away by how strongly I reacted to the narrative. Fear, frustration and anger all blended together to make me feel scared for Ran as, no matter what the truth was, he was a lost soul needing to belong to somebody …..or something. Michael J Malone just writes the most beautifully seductive prose that gives me goosebumps no matter what the subject matter. His poetic narrative mesmerized me to the extent that I felt like I had suddenly awoken from a dream (or was it a nightmare?!) when finished. In anyone else’s hands this story could have gone down a much more cliched route so it just goes to prove what a master storyteller this author is that he kept his tale believable throughout. Very disturbing at times but highly recommended by me! House of Spines is published by Orenda and is available to purchase now from Amazon UK. This book is so different from A Suitable Lie but yet just as good and engrossing. I love that Michael’s creativity has no boundaries! Great review! Thank you! I think he could write about anything and I would still love it! !